I know a lot of people who complain from osteoarthritis and the pain that they are experiencing is no laughing matter. Persons suffering from osteoarthritis are told to reduce or refrain from eating fatty processed meats, beans, drinking coffee, and junk foods. Now there is a breakthrough phyto-medicine of osteoarthritis (OA) and studies show that this medicine gave relief to those with OA. Arthrite is the first herbal medicine approved by the Philippine Food and Drug Administration for join pains. It has 14 herbal components that work synergistically to reduce pain caused by OA. 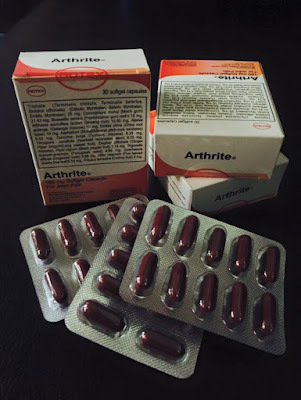 Aside from relieving pain, Arthrite contains several active herbal ingredients which are responsible for reducing joint inflammation, pain management and improving joint mobility. A study conducted by Dr. Eduardo Rommel Poblete of St. Luke's Medical Center, "Osteoarthritis has been affecting millions of lives, limiting one's ability to perform daily tasks, reducing the quality of life and even contributing to the development of depression among elderly patients." 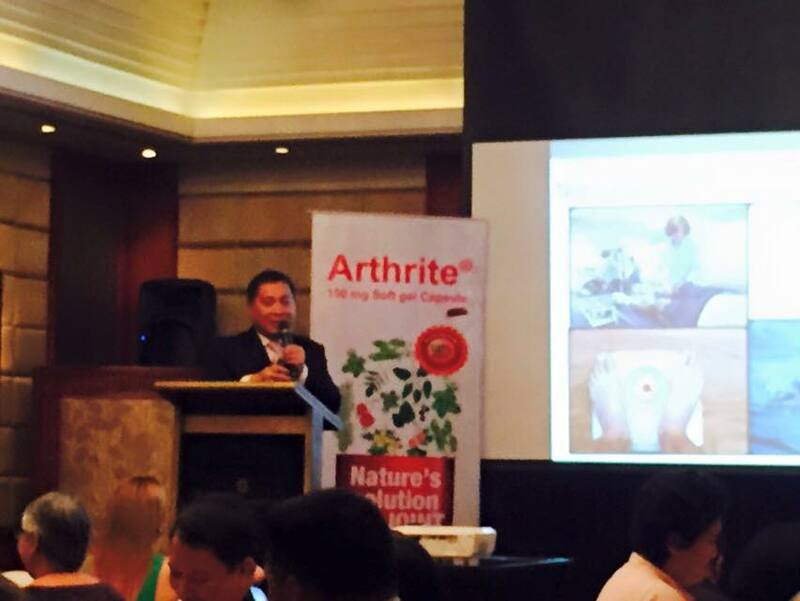 For the duration of 8 weeks, Dr. Poblete and his team tested 60 patients of varying ages who were diagnosed with mild-moderate OA. 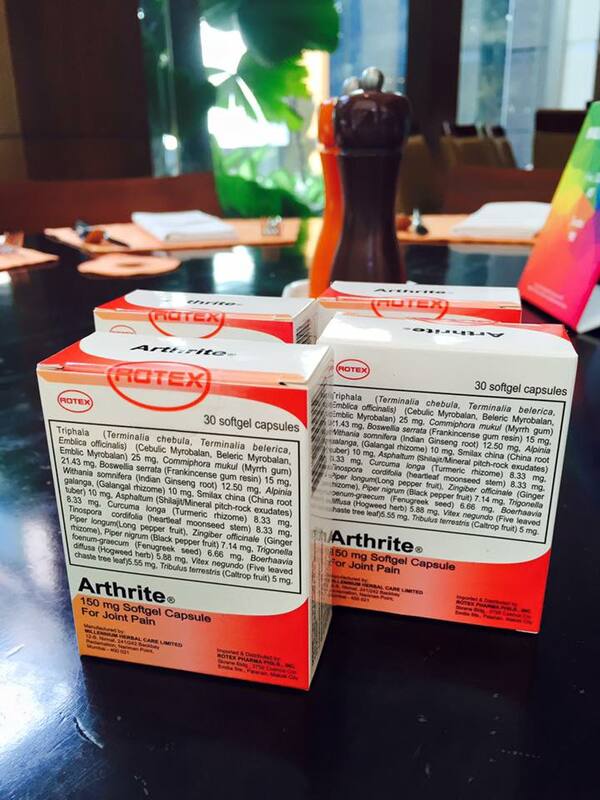 The patients are prescribed to take two Arthrite capsules after breakfast and another two after dinner. Results showed that 83% of the patients experienced moderately effective pain relief and 17% had very effective pain relief on first month of observation. 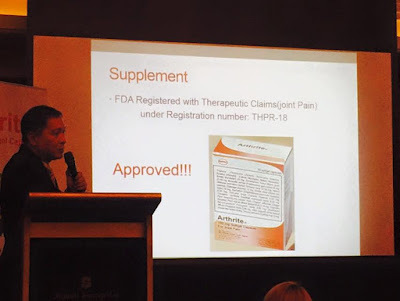 No side effects were reported during the clinical trials and the physicians global evaluation revealed a positive result from moderately effective to symptoms free after 2 months of treatment. Due to the effectiveness of Arthrite, it has been recommended to be part of the treatment regimen of patients with mild to moderate osteoarthritis. 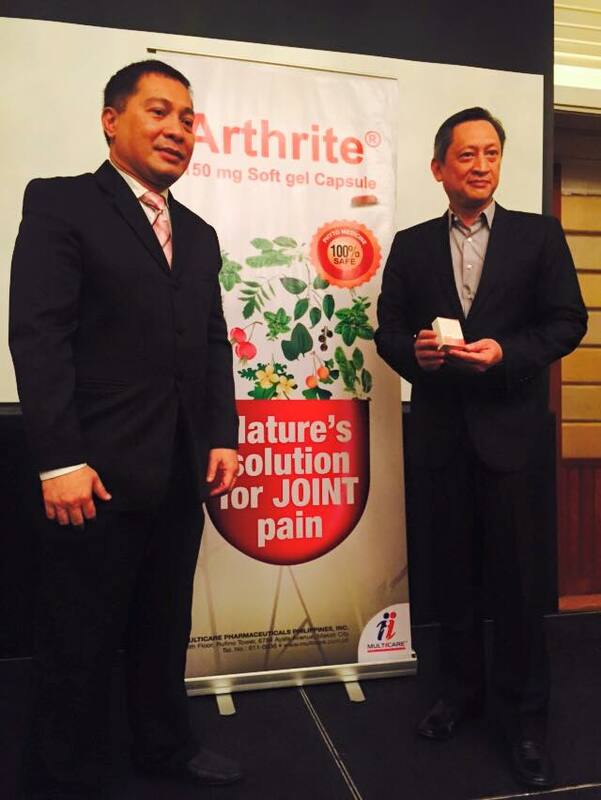 You may visit http://www.multicare.com.ph/ for more information about Arthrite.